With an easy clean enamel interior, stubborn food stains and spillages won't stick to your oven surface – simply wipe away any spills with a clean cloth and your oven is ready to be used for your next delicious dish. With a spacious 62 litre capacity, you have plenty of room to cook family sized dishes or large meals for dinner parties. 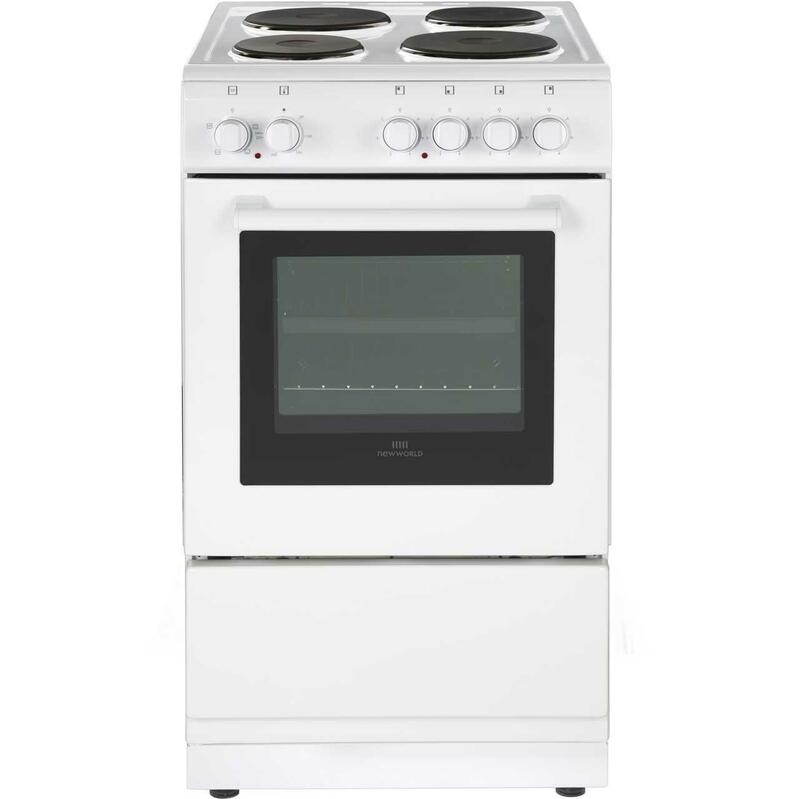 Whether you are batch baking or cooking for the entire household, with this New World NW50ESW 50 cm Electric Cooker you'll have a great amount of space to cook what you want, when you want. Ideal for traditional roasting or cooking several dishes simultaneously, the conventional oven is hotter at the top than the bottom. Put the meat in the middle, roast potatoes and veg towards the top while dessert cooks at the bottom for simple Sunday dinners. What's more, the variable grill can be set to either half or full width, depending on how much you want to cook, giving you great flexibility.